The MAP sensor has a vacuum/boost port on its underside. This port needs to be connected to the port on the intake manifold. Typically, T-ing off of the vacuum line going to the fuel pressure regulator provides good results. 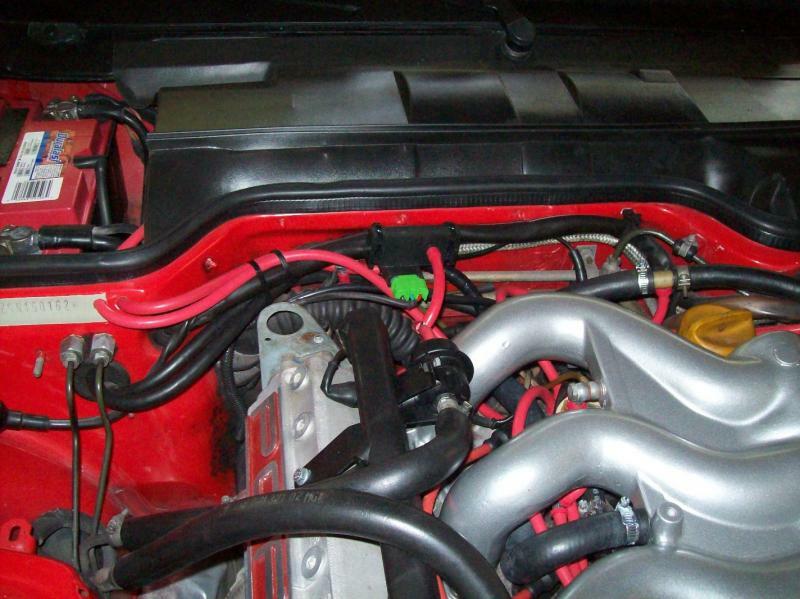 Additionally, the length of tubing from the MAP sensor to the intake manifold should be kept less than three feet long. This helps keep the MAP sensor response time very fast. The MAP sensor harness is long enough to place the sensor in the engine-bay and run the wires through the firewall boot/seal to the DME. 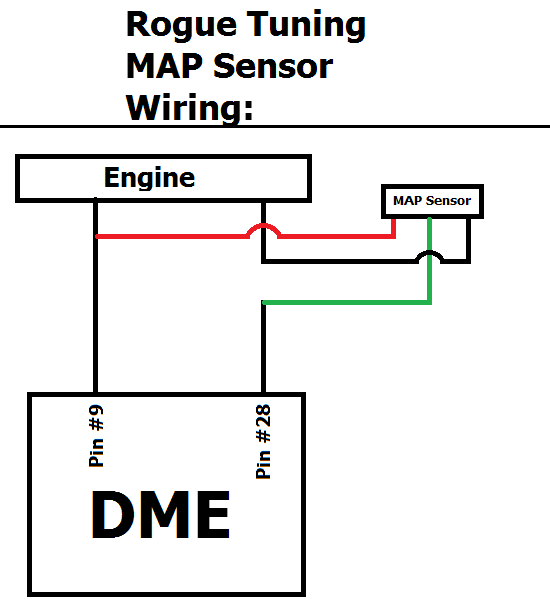 The Red power wire is tapped, that is - do not cut the DME's respective wire, just remove some of the DME wires insulation and connect the MAP sensor wire. As always, we recommend soldering, not T-type or "vampire" clips. A poor connection here can significantly reduce the MAP sensor signal. For the Green signal wire, the DME wire 28 needs to be cut, and then connect the MAP sensor Green wire to the wire going to the DME. 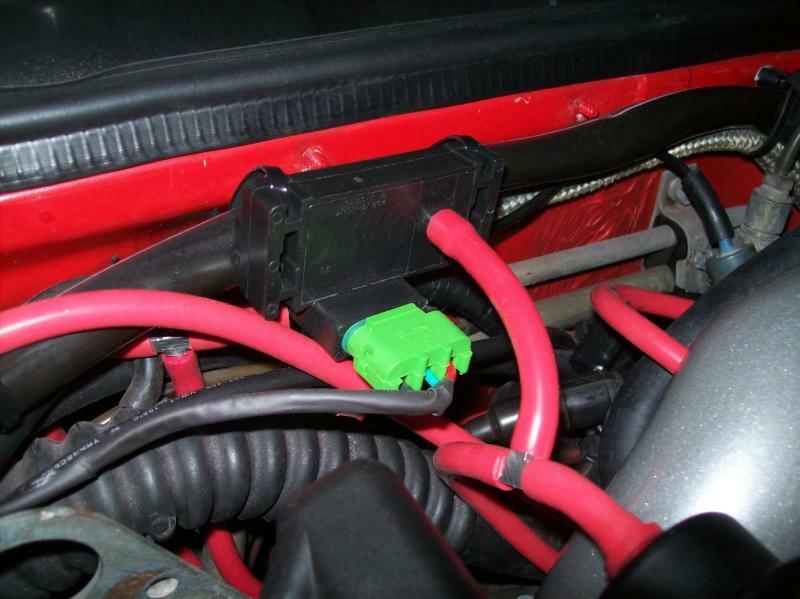 Then connect the MAP sensor Black wire to the cut wire that goes towards the engine. 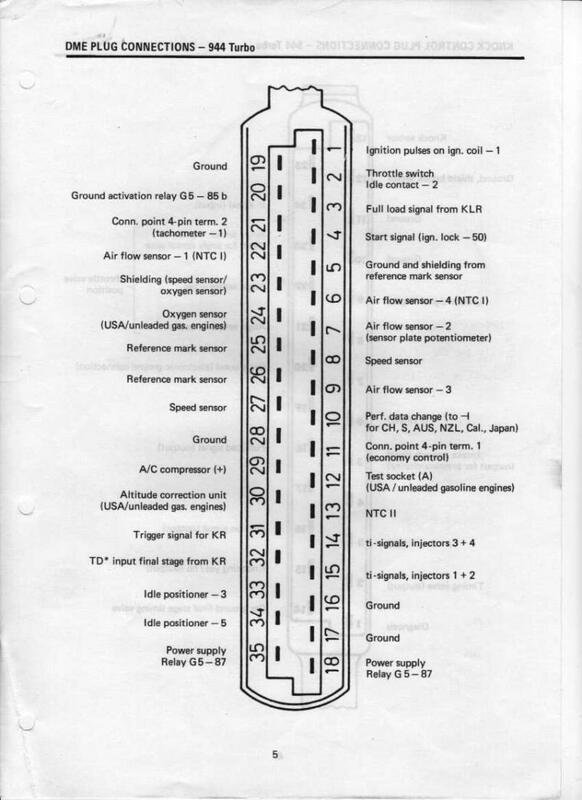 With the ignition on, measure the voltage on the red wire to ground. You should see +5volts. Now measure the voltage on the green wire. This should read ~1.6 volts (this will vary slightly depending on altitude). If either wire does not read correctly, double-check your connections and that they are going to the proper wires in the DME harness. Depending on the year of your DME, the body of the resistor might be a different color. Pin # 28 tends to be black on the 951. Double-check that you cut the correct wire by using a volt-ohm meter to verify continuity between pin # 28 and the wire you plan on cutting! Copyright 2014 Rogue Tuning. All rights reserved.